To request assistance with special needs or to reserve a wheelchair for use at War Memorial Auditorium, call 615-782-6577 two days prior to the performance you plan to attend. Tickets can be purchased at WMArocks.com, on the phone at 615-782-4030 and in person at the TPAC Box Office (505 Deaderick St., Nashville, TN 37243). Just let the ticketing agent know that you require accessible seating. Accessible parking convenient to War Memorial Auditorium is designated at metered spaces on 6th Avenue, between Deaderick Street and Charlotte Avenue. Please check signs on the meters for specific times of use. Parking is not permitted when meters are bagged. There is no charge for parking at any of the meters near WMA as long as you display the required state permit. As you approach from Union Street, the double door on the right side of the building is marked as an accessible entrance. Elevator access is available to the orchestra level of War Memorial Auditorium, only. There is no elevator access to the tier and balcony levels. 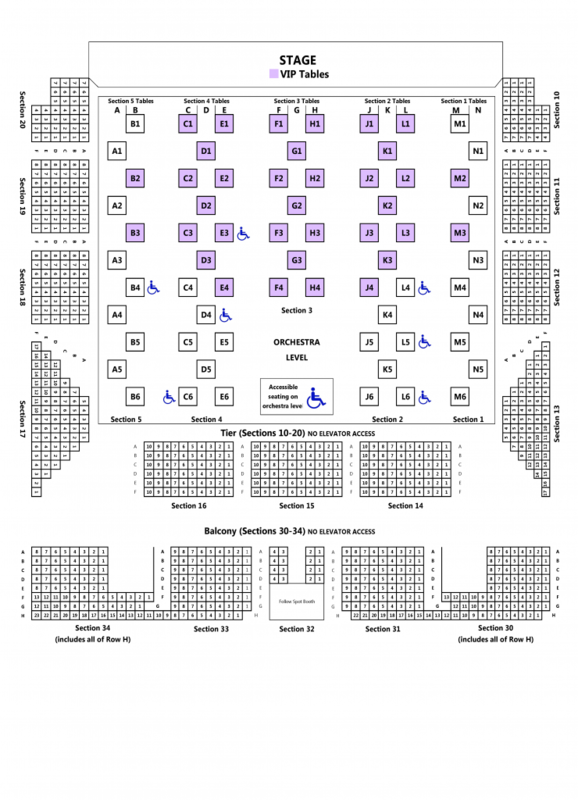 Orchestra seating is available to guests utilizing wheelchairs and for their companions. When buying tickets to a performance at WMA, please let the ticketing agent know that a guest is attending in a wheelchair. Trained staff are available onsite to assist with seating and accommodation of mobility devices. The restrooms on the lower level of War Memorial Auditorium are accessible and can be reached by elevator.